A Release of Deed of Trust is a written request by the mortgage company or lender, their agent or attorney or a title insurance company to the Public Trustee. The purpose of the release is to remove all or a portion of the property from the lien created by a Deed of Trust. A Deed of Trust is an agreement between three parties: the Grantor (owner/borrower), the Beneficiary (lender), and the Public Trustee. When recorded a Deed of Trust creates a lien against the Grantor's property. When the terms of the Deed of Trust are satisfied, a request of Release of Deed of Trust must be recorded to remove the lien from the property. Requirements for a Release of Deed of Trust are described in C.R.S. 38-39-102*, and must be precisely followed by the Public Trustee in the county in which the property is located and the lien that is to be released has been recorded. A Release of Deed of Trust is signed and executed by the Current Owner of the Evidence of Debt (Lender) when the note is paid in full and then submitted to the Public Trustee of the county where the property is located. The Public Trustee then compares the documents presented for accuracy, signs and executes the release form and then records the release with the County Clerk and Recorder. Original Promissory Note that corresponds exactly with the Deed of Trust, including the principal amount, dates and the number of notes/deeds of trust involved. If the original promissory note has been lost, a Lost Instrument Bond must be furnished by the holder pursuant to C.R.S. 38-39-102(3)(b). Recorded Deed of Trust, can be the original or a copy. The Clerk and Recorder’s original recording information must be legible. You may obtain a copy from the Weld County Clerk and Recorder’s Office at 1402 N 17th Avenue, Greeley, Colorado, 970-304-6530, Ext 13065. Payment of $28.00 to the Public Trustee of Weld County, to execute and record a one page release form. Include $5.00 for any additional pages that may need to be recorded (i.e. separate legal descriptions, affidavits, etc.). Enclose one large stamped, addressed envelope in which to return the cancelled note and Deed of Trust. Without exceptions. For inquiries on the status of any release, please contact the Weld County Clerk and Recorder's Office at 970.304.6530 or contact your mortgage lender. 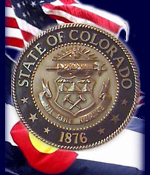 The Public Trustee's office processes thousands of releases each month and the time lapse between a homeowner's payoff and the release may be several months pursuant to Colorado Revised Statute.